This Fall, GW Pharmaceuticals is expected to make history when it launches Epidiolex, the first prescription drug formulation of a natural cannabinoid extract, namely highly purified, plant-derived cannabidiol (CBD). Epidiolex will not only be the first in what is likely a series of plant-derived cannabinoid-based drugs to reach the market but has been projected to dominate that market if it can win FDA authorization for expanded uses beyond the two rare, severe, childhood-onset epilepsies for which it is approved. Epidiolex won FDA approval June 25. Because it contains CBD, one of 80+ active ingredients in marijuana, Epidiolex is classified as a Schedule I controlled substance and requires rescheduling by the U.S. Drug Enforcement Administration (DEA) to allow patient use. DEA has up to 90 days to issue an interim final rule to reschedule, after which Epidiolex can be marketed and dispensed. GW seeks a Schedule IV designation. Krane said Cannabis' Schedule I classification has made it challenging for drug companies to do effective research on cannabinoids and potential cannabinoid-based pharmaceuticals. “With so much evidence of their effectiveness, drug companies undoubtedly want to create more pharmaceutical products utilizing cannabinoids and will be encouraged to spend more resources on them now that Epidiolex has received FDA approval,” Krane predicted. Krane’s optimism is shared by the National Cannabis Industry Association (NCIA). 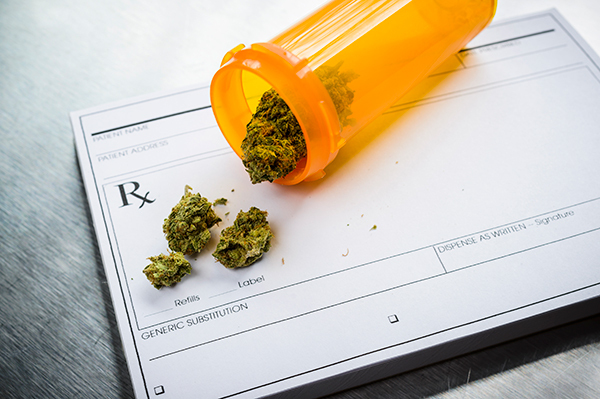 However, Barbara Gilmore, transformational health senior industry consultant at Frost & Sullivan, doubts the additional investment will catapult cannabis-based drugs into a large pharmaceutical sales category soon. “It is unlikely that cannabis-based drugs will grow into a major sub-segment of any market in the foreseeable future,” Gilmore said. Gilmore cited Evaluate Pharma forecasts showing that among four cannabinoid-based drugs approved in the U.S., or expected to be, only Epidiolex will achieve billion-dollar “blockbuster” annual sales by 2021. That year, Evaluate projects $1.04 billion for Epidiolex—compared with just $52 million in sales expected for Insys Therapeutics’ Syndros® (dronabinol oral solution); $35 million for Almirall/GW-marketed Sativex® (nabiximols); and $15 million for Teva Pharmaceutical Industries’ generic dronabinol, whose brand-name version is marketed by AbbVie as Marinol®. Evaluate expects Epidiolex sales to double by 2024, to $2.349 billion, 95% of the total $2.485 billion forecast for the four cannabinoid-based drugs. Syndros is projected at $90 million, Sativex at $31 million, and generic dronabinol, $15 million. That’s a lot less than the market size projected for all medical marijuana. New Frontier Data estimates the market will grow from $5.1 billion in 2017 to $12.5 billion in 2025. Arcview Market Research and BDS Analytics are more optimistic, predicting an $18.8 billion market by 2027. Epidiolex was approved for seizures associated with Lennox-Gastaut syndrome (LGS) or Dravet syndrome in patients two years of age or older. Both are diseases whose incidence is small: 15/100,000 for LGS; an estimated 1 in 40,000 for Dravet. Tuberous sclerosis—GW is recruiting patients for a Phase II/III trial (NCT02544763) that is expected to generate results in the first half of 2019. Intractable epilepsy—GW is recruiting patients for a Phase I trial of Epidiolex as an add-on treatment for debilitating, drug-resistant epilepsy (NCT02695537). GW had also hoped to market Epidiolex for infantile spasms. But based on data from a Phase II/III trial (NCT02953548) whose first part is nearing completion, GW won’t launch the second part, said Steven Schultz, vice president, investor relations. Also in GW’s pipeline is Sativex, a combination of CBD and delta-9-tetrahydrocannabinol (THC) approved in 21 European countries for spasticity due to multiple sclerosis (MS), but not in the U.S. GW plans to meet with the FDA later this year “to lay out the most efficient path possible to get Sativex reviewed and hopefully approved in the U.S.,” Schultz said. Rounding out GW’s pipeline are GWP42006 (cannabidivarin or CBDV) for epilepsy, which generated disappointing Phase IIa results earlier this year, with clinical trials to start later this year in autism spectrum disorders (ASD) and Rett syndrome; GWP42002/GWP42003 (THC-CBD combination), which completed a Phase II proof-of-concept study in glioblastoma; GWP42003 (CBD) for Neonatal Hypoxic-ischemic Encephalopathy (IV formulation being finalized) and schizophrenia (Phase II proof-of-concept study completed). To read Part II of this article click here.